At Experience Your Life, we work hard every day to make a grass root and real difference. This post is the story of a very incredible person – a team member and a friend who made a real difference. 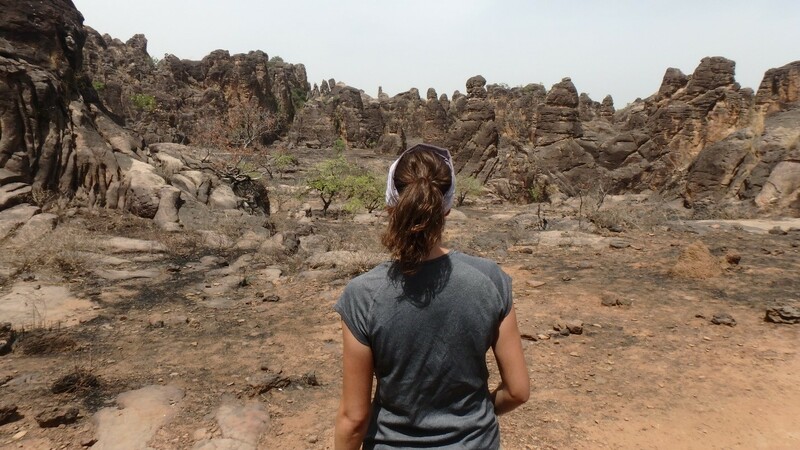 Sophie just spent 1 year in Africa with Engineers Without Borders after connecting with an opportunity through the Experience Your Life organization in 2016. This is a very real account of the adventure and you could be well on your way to a similar adventure this year. Make sure you register for the Expo at www.eyle.eventbrite.ca and use the code “ipromise2attend” for your FREE ticket (while quantities last). Although she is based in Montreal, most likely you will get to meet Sophie at the Expo as well. Enjoy the post below in Sophie’s own words. Are you ready to embark on a similar adventure ? “On the edge of a “more than epic” journey, it is time to step back and reflect everything that has happened in the last year or so. My name is Sophie; I am an aerospace engineer and have done a master in management last year at the University of Toronto. My professional experience is in technical engineering through internship in corporations such as Bombardier Aerospace and Pratt & Whitney Canada. Even though all my work experience was great and a phenomenal opportunity for learning, I felt like this was not my path and that engineering should be approached in a more global and social way. That’s why I did a management degree and aimed to look for professional opportunities abroad to gain global perspective. Sometimes, all you need is that little push from yourself to pursue “crazy” things that have amazing and huge impact on your life. It is so easy to stay on the “society track”, the one track that is taught at school, through your parents’ views, or through the pressure of getting money quickly, efficiently. Your instincts are a great ally to your judgement, and a good catalyst to pursue your passion is someone you respect that encourage you to go with your instincts. In my case, I was considering management consulting seriously when I met Sultan Akif, Founder and Director of Experience Your Life, who told me that I should do “more”. Go experience, go live and work while making a difference (the biggest difference was truly within myself). He showed me a life path that I didn’t consider or was, I realize, maybe to afraid or not ready to do. Jumping into this adventure was beneficial and I consider that I have more power within myself to make the change I always wanted to bring. Doing a Fellowship with Engineers Without Borders Canada, who provide such amazing opportunities for young professionals in Sub-Saharan Africa, brought me more work experience, new perspectives, more stories to share, and an open-mind to system thinking, differences and privilege. I had the opportunity and privilege to work this year as a Engineers Without Borders Canada Fellow in Ghana and Côte d’Ivoire. Most recently, I have overseen two different projects for two organisations in Ghana. At Engineers Without Borders Canada, I’ve led the creation of program that promotes youth employment and social change initiatives. At VOTO Mobile, as a Technical Specialist, I improved internal processes and products by applying data analytic tools. Previously at Engineers Without Borders Canada, I led the expansion of a Ghanaian organisation, MBC Africa, into Côte d’Ivoire, working to strengthen the agribusiness sector across West Africa in the process. As the second employee in Côte d’Ivoire, I tried to create critical partnerships and to conduct market research in the agricultural sector, all within a challenging schedule and budget. This experience was, on top of being a first amazing professional opportunity to enhance my management skills and to challenge me culturally, a great way to develop myself personally. I had the chance to travel through West Africa in Ghana, Côte d’Ivoire, Burkina Faso, Togo and Benin. I also could “give myself the luxury” of travelling in Kenya as well. I am so proud of my accomplishments. Being the only expat in my neighborhood, it was challenging to be faced everyday with your difference and privilege. Eating on the street got me sick many times. Changing jobs and countries 3 times in one year was also difficult for networking and stability. Seeing poverty in many forms is obviously one challenge that took emotional energy out of me. I still managed to perform at work, to create amazing local and expat friendships, to play volleyball competitively in an international competition, to live one week in a village in Northern Ghana and participate in daily activities, to travel solo through Burkina Faso and Ghana, to change my wardrobe with many African cloth purchased at the market, to change my diet to a “street” one while being able to cook, etc. All in all, I was very happy with my capacity to adapt and take the most out of my experience! This is the post we made when Sophie embarked on the journey. Time flies by. Make it count in 2017! Sophie Experiencing Her Life – Bon Voyage to Africa!